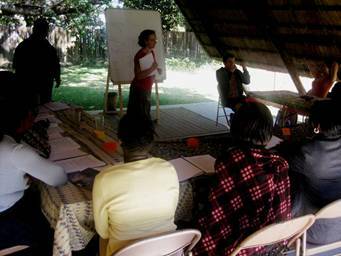 2) To provide a place for training, especially training in sustainable farming methods. 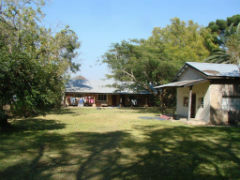 OM Zambia is also based at Maplehurst and provides training for evangelists and Christian teachers. Maplehurst Centre used to be called Maplehurst Farm but in 2012 the BHW board decided to sell off the dairy operation at Maplehurst. Even though the dairy farm was profitable, a substantial rise in the value of the farm and some serious risks to the business made it attractive for BHW to safeguard our investment and secure future returns for our Zambian partnerships by selling the farm. Many of the side benefits had been realised and there did not appear to be any real benefits in continuing the dairy operation ourselves. The farm was sold to a local farmer who is sympathetic to BHW’s work and with whom we already have a good working relationship. Continued employment for all our local staff was secured. 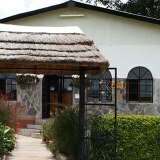 The Fig Tree Café and all the accommodation and grounds were kept as a base from which BHW can continue its ministry activities. Most of our BHW partners as well as many other people have received training in farming methods based on the principals of Foundations for Farming. To aid in this training a demonstration garden has been developed at Maplehurst. Over the last few years substantial progress has been made in expanding and improving the accommodation available at Maplehurst for rent. These, along with the building leased out for the “Fig Tree Café”, continue to provide us with steady income. The profits generated at the Maplehurst Centre are being distributed to various partnerships in Zambia. The biggest attraction is the capacity to generate income within the country of Zambia. However it provides many benefits apart from the profit generated, as outlined above. Financial: The BHW partnerships that are funded from the profits. Training: Many people in our partnerships will benefit from the training and this enhances the existing relationships as well as establishing new ones. Especially the leaders of these partnerships are encouraged to become trainers themselves and therefore multiply the effect out in the communities. Relationships with other mission organisations and NGOs are continuing to develop. The main one is OM Zambia who are continuing to expand their campus on land at Maplehurst, gifted to them by BHW. The other main relationship is with Grace Church Zambia. Paul Hamelryck lives with his family at Maplehurst and manages the base for BHW. His main responsibilities are repair and maintenance of the facilities, maintaining relationships with partners, tenants and other organisations, collecting and banking the rents and distributing funds to BHW partners. 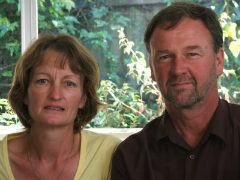 John Vlaming, who is based in New Zealand, oversees the running and further development of Maplehurst Centre. Jerry and Hayley Field have been running the agricultural training at Maplehurst and developed the demonstration garden. They oversee the Zambian partnerships and visit Zambia on an annual basis. A number of Zambians and New Zealanders are involved as a Board of Directors of the Zambian Company that owns Maplehurst Centre. As stated earlier, all the Zambians that were employed on the farm have kept their jobs following the change of ownership. Financial: We are expecting to continue to see a good rate of return on the investments made at Maplehurst. To this end new opportunities are being explored and efforts made to improve the quality of the facilities to ensure good returns and occupancy rates. 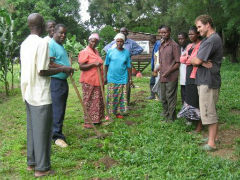 Training: We envisage the continuation of training in the Foundations for Farming growing methods. To this end the demonstration garden is maintained and even further developed by OM staff. The OM campus is now in operation and there are plans to add practical training courses to the discipleship, evangelist and teacher training that is already happening. Operations base: BHW staff use the base for training as well as a place to work from when visiting our Zambian and other southern African partnerships. The base is also used by other people involved in mission and aid work as a place to stay and recharge. Besides this Maplehurst is used by local Christians for bible study, social get togethers etc.